Zorana Mihajlovic, the vice president of the government, has said that the “gathering” of the people in Belgrade during Vladimir Putin’s visit on Thursday should not be interpreted as a “counter-rally”. Mihajlovic referred to speculations that the gathering in front of the Saint Sava Cathedral would be organized as response to opposition rally on Wednesday, which would mark the first anniversary of the Kosovo Serb politician Oliver Ivanovic assassination. In her words, the manifestation on Thursday would be attended by the citizens “who want to greet president Putin and president Vucic”. “It is not a counter-rally because that would mean that besides those who want to greet the presidents there are also those who oppose this”, Mihajlovic said. 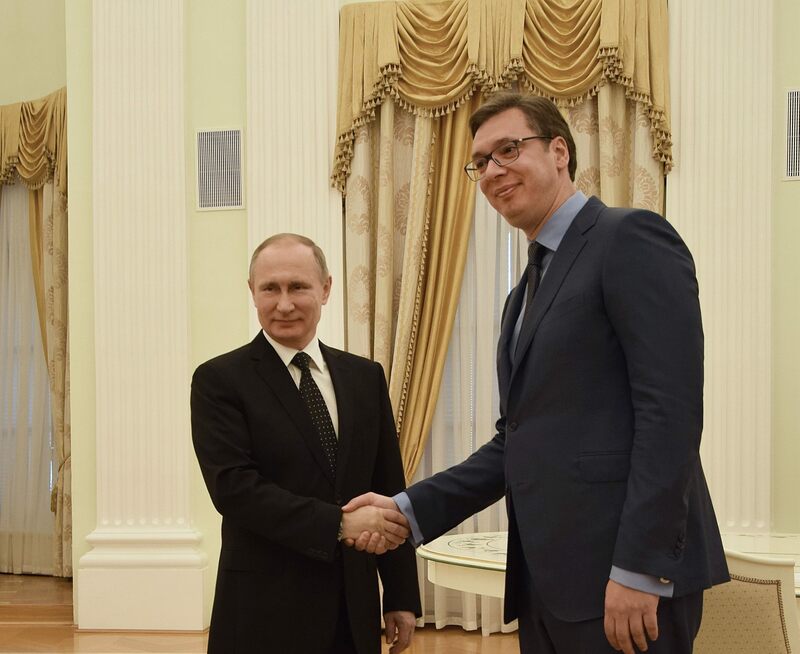 The “welcome manifestation” for Putin will be arranged by the “Center for the development of Belgrade”, a group which until now was not known to the public. However, the gathering is supported by the Serbian Progressive Party led by Vucic. The organizers announced that 70,000 persons are expected to attend the manifestation at which, according to the announcements, Putin and Vucic would make speeches. “As a small country we do not consider whether we need some country or statesmen or not. Everybody are welcome. Serbia should have good relations with both, East and West”, Mihajlovic concluded. The majority of the political parties are not opposing Putin’s visit. Among those who have different approach are the League of Social Democrats of Vojvodina (LSV) and Vojvodina’s Party. The activists of the two groups have set a banner above the highway in Belgrade with message to Putin written in Serbian: “Serbia is not Russia”. Ivica Dacic, foreign minister and leader of the Socialist Party of Serbia (SPS), said that he was very pleased because his Russian colleague Sergey Lavrov will be in the Russian delegation. Among other officials, Dmitry Rogozin, Roskosmos head, will also visit Belgrade.